A recent report from CoBank pointed out that trade worries are clouding the economic outlook for U.S. farmers and ranchers. And, a recent report from Purdue University demonstrates that potential trade retaliation measures on U.S. soybeans by China could be costly. Today’s update looks briefly at these two reports, as well as other news articles that highlight ongoing trade issues in the farm sector. Last month, CoBank released its Quarterly U.S. Rural Economic Review, which noted in part, “Ongoing trade negotiations and potential trade disputes are the major concerns in the near term. U.S. tariffs on steel and aluminum may elicit responses from other countries and will certainly impact the ongoing NAFTA negotiations. Recently announced U.S. tariffs on Chinese imports triggered China to announce its own list of retaliatory tariffs which would largely affect U.S. agricultural goods. “The completion of the 11 country Comprehensive and Progressive Agreement for Trans-Paci c Partnership (TPP) that does not include the U.S. or China could result in some erosion in U.S. export potential. The current trade environment will likely result in many countries reexamining their trade policy strategies and attempting to diversify their supply chain arrangements. “QUARTERLY U.S. RURAL ECONOMIC REVIEW– Trade War Risks Loom over Agriculture.” CoBank Knowledge Exchange Division (March 2018). 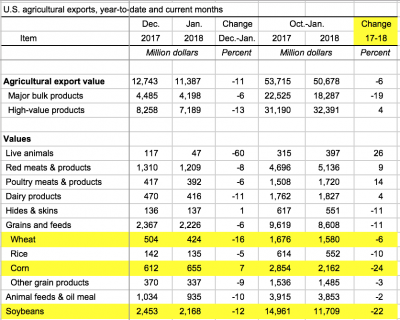 And, trade data from USDA’s Economic Research Service in March showed that the value of soybean exports through January for this fiscal year are down compared to last year. U.S. 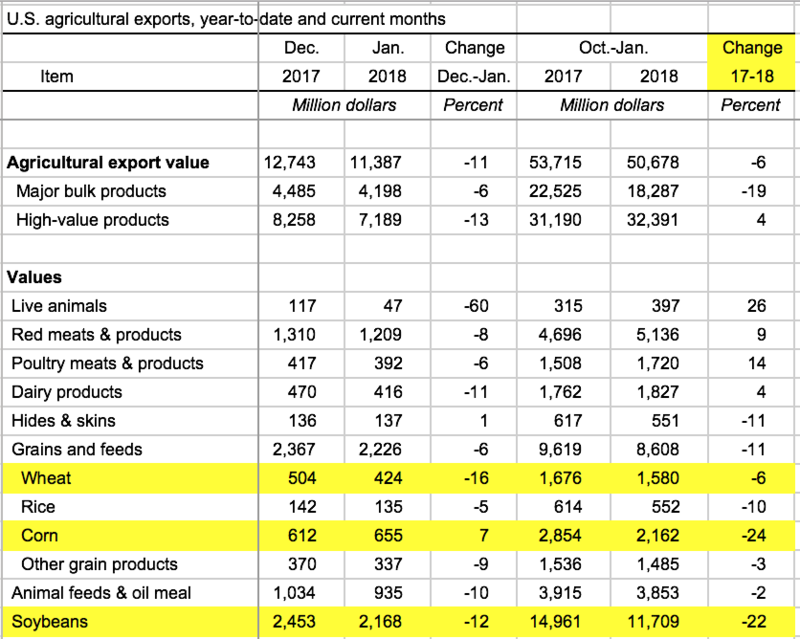 Agricultural Trade Data, USDA- Economic Research Service (Updated March 8, 2018) – Fiscal Year is from October 1 of previous year through September 30 of current year (https://goo.gl/wvf7Q5). Last week, Financial Times writers Lucy Hornby and Gregory Meyer reported, “Retaliating against soyabean shipments would have a big impact on US farmers, many from states that voted for Mr Trump. But it would also involve significant pain for China which relies heavily on the US. 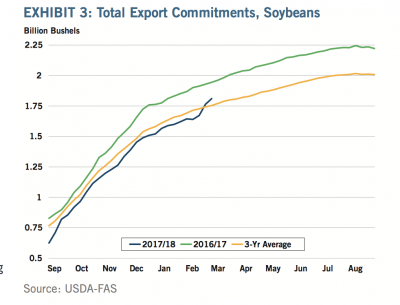 More than one-third — 37 per cent last year — of the total soyabeans consumed in China are shipped from the US. With respect to how much soybean import restrictions by China could “hurt,” a Purdue University news release on Wednesday stated, “Chinese soybean imports from the U.S. could drop by as much 71 percent if China were to impose trade restrictions on U.S. soybeans in response to U.S. tariffs on Chinese products, according to a study for the U.S. Soybean Export Council conducted by Purdue University agricultural economists Wally Tyner and Farzad Taheripour. Last week’s release explained, “The analysis by Taheripour and Tyner produced a wide range of results under different assumptions of protection rates, model parameters, and product coverage. Their best estimates of possible impacts of Chinses tariffs on soybean imports form U.S. show that if the Chinese were to adopt a 10 percent tariff on U.S. soybeans, U.S. exports to that country could fall by a third – 33 percent. 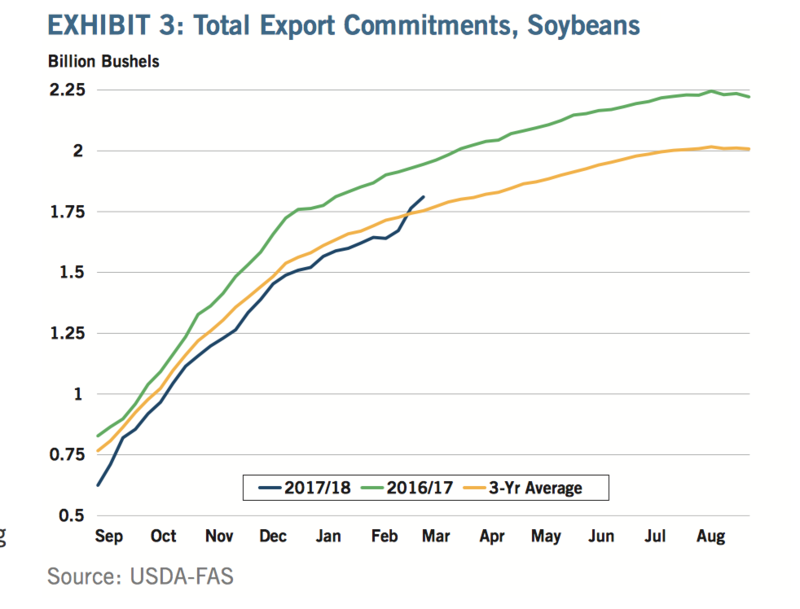 Total U.S. soybean exports could decline by 18 percent, and total U.S. soybean production could drop by 8 percent, the study showed. However, Bloomberg News reported on Thursday that, “U.S. Ambassador Terry Branstad warned China against retaliatory measures aimed at imports of American soybeans, as the world’s two largest economies edged closer to a trade war. “The former Iowa governor told Bloomberg Television on Thursday that any effort to curb U.S. soybean imports would harm regular Chinese citizens more than American growers. The crop provides a key source of protein, including as feed for hogs, for the country’s growing middle class, Branstad said in an interview at the U.S. Embassy in Beijing. Associated Press writer Tom Beaumont reported on Saturday that, “In Sioux County, [Iowa] where swine barns interrupt the vast landscape of corn-stubbled fields, exports of meat, grain and machinery fuel the local economy. And there’s a palpable sense of unease that new Chinese tariffs pushed by President Donald Trump — who received more than 80 percent of the vote here in 2016 — could threaten residents’ livelihood. The AP article stated, “Sioux County seed dealer Dave Heying echoed a common refrain that any downturn in the farm economy would curb spending throughout the local economy, with direct impact on farm machinery dealers, mechanics and agricultural construction, among other businesses. 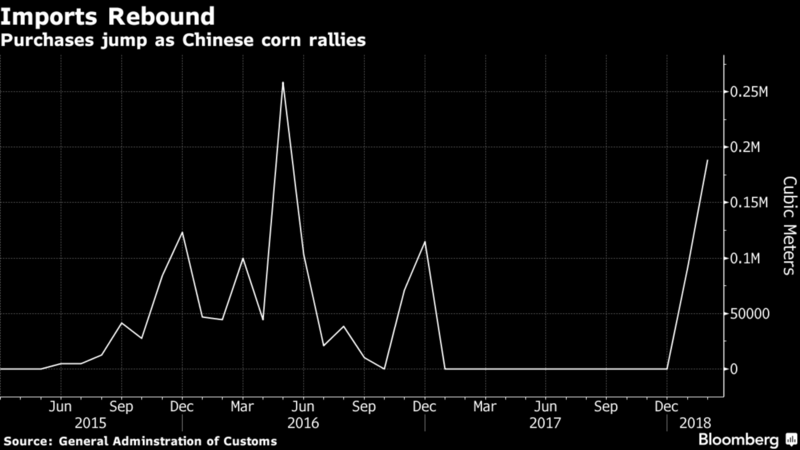 Bloomberg News reported last week that, “China’s purchases of ethanol from the U.S. climbed, with imports in coming months dependent on the Asian country’s plan to impose extra import duties that could wipe out the margin that’s seen buying surge this year. 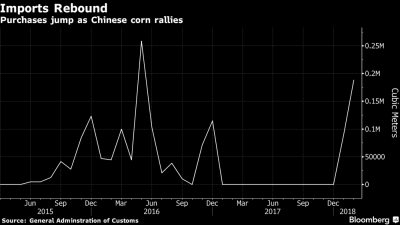 “China Imports of U.S. Ethanol Surge Ahead of Tariff Threat.” Bloomberg News (March 26, 2018).